I don’t know about you but Sundays are always a struggle for me. It’s hard to get to church . . . on time. So, I decided to ask some of my friends to give me their best advice. Here are 17 tips! I love these and I have some new ideas for Sunday! What about you? What’s your best advice? Prep clothes night before…the biggest downfall is SHOES for us….make sure they are set out and BOTH there AND fit! Pack some dry cereal in your tote….you might get a poky eater and then you just pack and go and let them snack in church…hey, it’s NOT sacreligious to snack a kid in church quietly as long as you pick up dropped crumbs aftewards! 🙂 Diaper blow outs are NOT gonna be predicatable but hey, getting to church and changing the diaper there isn’t the worst, esp. if hubbers takes the other kids and sits down…people understand a mom with a little one coming in afterwards. 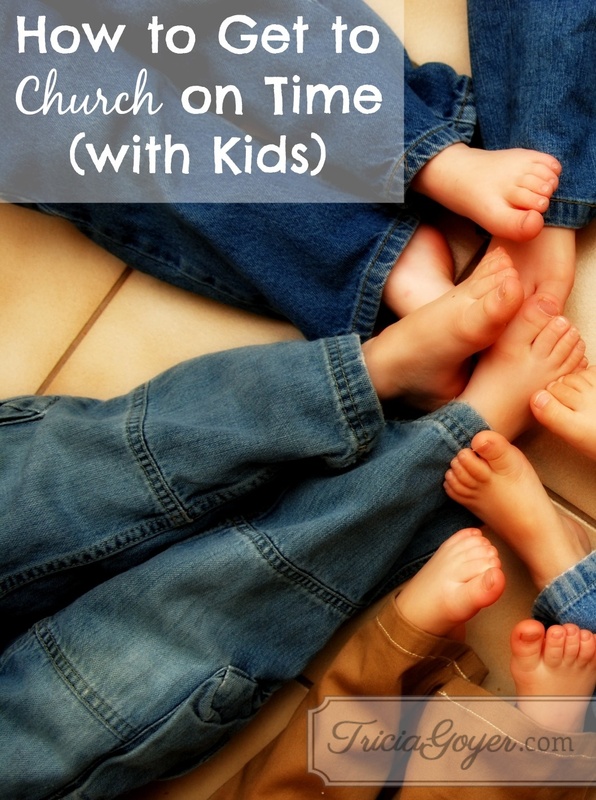 As a pastor’s wife, I have had moments of success and moments of meltdown when it came to getting to worship on time. Many Sunday mornings, my husband leaves before 6:30 so it is up to myself to bring the kids at a later time. I’ve learned that routine is key. Every other day of the week we have routine for school so why not for Sunday? Do we let them watch t.v. on weekday mornings? Why let them watch it on Sundays? Also, staying consistent is important. One Sunday morning my youngest son absolutely refused to change his clothes. It was a battle not worth having. I told him he was not changing out of his pajamas once we were in the car. He wore them to church and many people asked why he was wearing them. The topping on the cake? We go out for lunch almost every week and I did not let us stop to let him change so he got to sit in the restaurant with his pajamas also. He has always changed into church clothes since that Sunday. I must have been mostly numb every Sunday morning, because I do not remember anything about it! Ha! 1. Kids had to sit on the couch and do absolutely nothing. 2. Dad had to make that happen. When Mom was ready, off we’d go!